Opportunity available to help make life better for carers Three out of five people in the UK will become carers at some time in their lives. 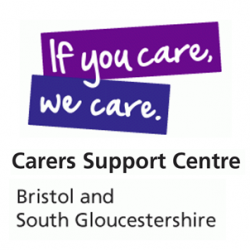 Carers Support Centre (CSC) Bristol and South Gloucestershire provides a wide range of information, advice and support services for unpaid adult and young (children) carers. A carer is someone who provides support to family or friends who could not manage without this help. This could be caring for a relative, partner or friend who is ill, frail, disabled or has mental health or substance misuse issues. All the care they give is unpaid. We are looking for an exceptional person who can run our telephone advice line (CarersLine) and provide support, information and advice to carers across Bristol and South Glos. CarersLine Telephone Advice Worker: Salary: £20,622 - £22,616 FTE Hours: 30 hours per week, with potential for additional hours as funding permits. The successful applicant will: Respond to all calls and referrals from internal staff, carers and professionals. Refer carers to other services (internal and external) for ongoing support when appropriate. Support and provide direction to current CarersLine volunteers and work with the Volunteer Co-ordinator on the recruitment of new team members. You will have experience of;. Working on a telephone advice line or similar advice service, working with people needing emotional support / in crisis and working with and supporting or managing volunteers. If you would like to know more about this role, please call 0117 939 2562 for further information. For an application pack, please visit our website at www.carerssupportcentre.org.uk /vacancies (preferred option please). If you do not have access to the internet please call our 24-hour answer phone service on 0117 9589973 or email: admin@carerssupportcentre.org.uk Closing date: Wednesday 8th May 2019 at 5pm Interview date: 15th May 2019 Registered Charity Number: 1063226 We are an Equal Opportunities employer and our workplace is free of barriers and fully accessible for people with disabilities. We are committed to safeguarding children, young people and vulnerable adults; from recruitment of staff through to supporting our team working with families and carers in crisis. Opportunity available to help make life better for carers Three out of five people in the UK will become carers at some time in their lives. Carers Support Centre (CSC) Bristol and South Gloucestershire provides a wide range of information, advice and support services for unpaid adult and young (children) carers. A carer is someone who provides support to family or friends who could not manage without this help. This could be caring for a relative, partner or friend who is ill, frail, disabled or has mental health or substance misuse issues. All the care they give is unpaid. We have a successful telephone counselling service for adult carers and are looking to expand our counselling team. The position(s) are available on a sessional basis and would be ideal to complement existing counselling work. Hours: Up to 4 sessions (50 minutes each) per week Salary: £25 per hour on a self-employed basis, (also covers admin time) The successful applicant(s) will have experience of: - providing short term, solution focused counselling by telephone and ideally by skype or email. - working with a diverse range of people, including young adults (18-25) and people from under- represented groups. - a range of counselling models and theories. If you would like to know more about this role, please call 0117 939 2562 for further information. For an application pack, please visit our website at www.carerssupportcentre.org.uk /vacancies (preferred option please). If you do not have access to the internet please call our 24-hour answer phone service on 0117 9589973 or email: admin@carerssupportcentre.org.uk This is an opened ended opportunity, although applications will be assessed as soon as they are received and we are aiming to appoint suitable applicants as soon as possible. Registered Charity Number: 1063226 We are an Equal Opportunities employer and our workplace is free of barriers and fully accessible for people with disabilities. We are committed to safeguarding children, young people and vulnerable adults; from recruitment of staff through to supporting our team working with families and carers in crisis. Opportunities available to help make life better for carers Carers Support Centre (CSC) Bristol and South Gloucestershire provides a wide range of information, advice and support services for unpaid adult and young (children) carers. A carer is someone who provides support to family or friends who could not manage without this help. This could be caring for a relative, partner or friend who is ill, frail, disabled or has mental health or substance misuse problems. All the care they give is unpaid. Three out of five people in the UK will become carers at some time in their lives. We currently have a vacancy in our Carers Support Team working to ensure that carers are identified, have access to appropriate support, are able to maintain their own health and wellbeing and continue with their caring role. Hours: Part Time (15 hpw) Salary: £20,622 - £22,616 FTE (pro rata) You will be supporting carers to complete a carers assessment, access help and support and publicising, promoting and contributing to the development of the service, in conjunction with the Senior Carer Support Officer. If you would like to know more about this role, please call 0117 9392562 for further information. For an application pack, please visit our website at www.carerssupportcentre.org.uk/vacancies (preferred option please). If you do not have access to the internet please call our 24-hour answer phone service on 0117 9589973 or email: admin@carerssupportcentre.org.uk Closing date: 25th April 2019 – 12 Noon Interview date: 7th May 2019 Registered Charity Number: 1063226 We are an Equal Opportunities employer and our workplace is free of barriers and fully accessible for disabled people. We are committed to safeguarding children, young people and vulnerable adults; from recruitment of staff through to supporting our team working with families and carers in crisis.